Latest Economic Signs Point To Slow, Steady Growth : The Two-Way Consumer confidence and home prices continue to rise. But they're not moving up quickly. Both are key economic indicators. A home construction site in Oceanside, Calif., earlier this month. Home prices continue to rise across the nation, though the pace appears to have slowed. Two key economic indicators — home prices and consumer confidence — both seem to signal that slow, steady economic growth lies ahead. -- Confidence. The Conference Board's widely watched consumer confidence index increased only slightly in August, to 81.5 from 81 in July, the business research group says. The board adds that "consumers' assessment of current conditions moderately declined. Those stating business conditions are 'good' decreased to 18.4 percent from 20.8 percent, while those stating business conditions are 'bad' was virtually unchanged at 24.8 percent. Consumers' appraisal of the labor market was mixed. Those claiming jobs are 'plentiful' decreased to 11.4 percent from 12.3 percent, while those claiming jobs are 'hard to get' declined to 33.0 percent from 35.2 percent." How consumers are feeling is a key economic indicator because they buy about 70 percent of all goods and services that companies produce. If consumers are upbeat, their spending should give the economy a boost. If they're not feeling great, their spending could slow and so would the economy. -- Housing. While home prices rose 7.1 percent across the nation in the second quarter and were up 10.1 percent from a year before, the pace of price increases "may be slowing," says David Blitzer, chairman of the Index Committee at S&P Dow Jones Indices, in a statement released with the latest S&P/Case-Shiller Home Price Indices report. In June, the report adds, prices were up 2.2 percent from the month before in 20 major cities. But, Blitzer says, "13 out of 20 cities saw their returns weaken from May to June. As we are in the middle of a seasonal buying period, we should expect to see the most gains. 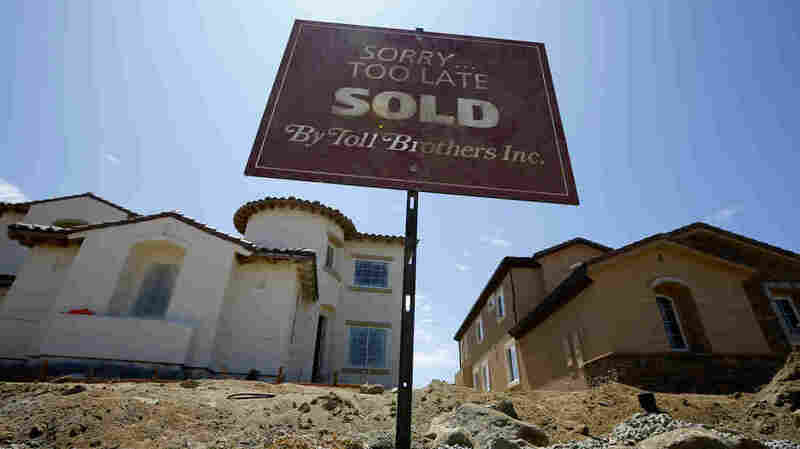 With interest rates rising to almost 4.6%, home buyers may be discouraged and sharp increases may be dampened."